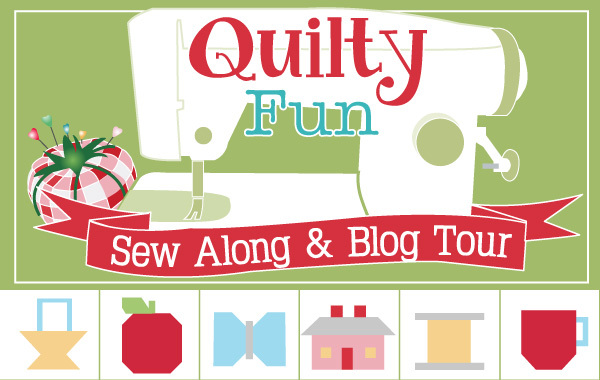 Welcome back to the Quilty Fun Sew Along and Blog Tour! Today we are cracking open our copies of Quilty Fun by Lori Holt of Bee in my Bonnet to make the Neighborhood Houses. Move into our cozy neighborhood with these cute blocks. Amy of Diary of a Quilter is moving in too, so we promise you will be in good company! 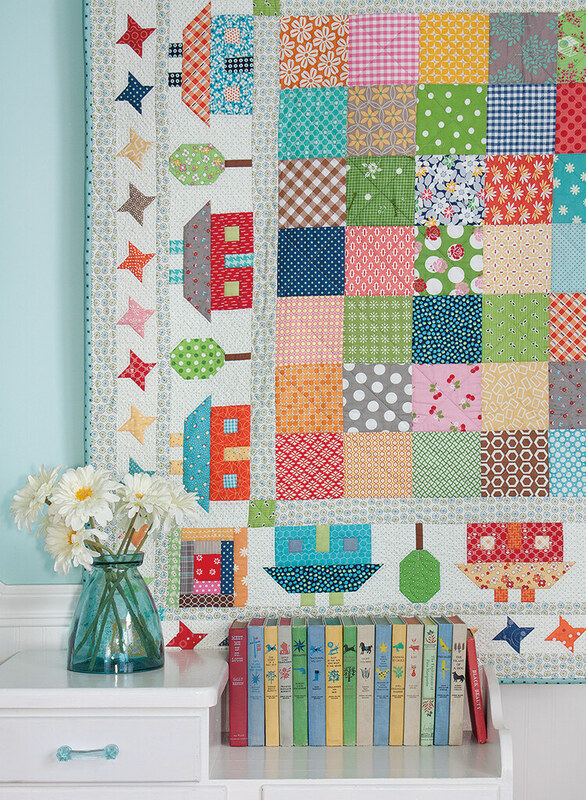 Kimberly built her homes with a healthy mix of Lori Holt fabric. Debbie's built her homes with the sweet Sidewalks collection by October Afternoon. Download the cutting PDF to start constructing your houses! We want to move right in! 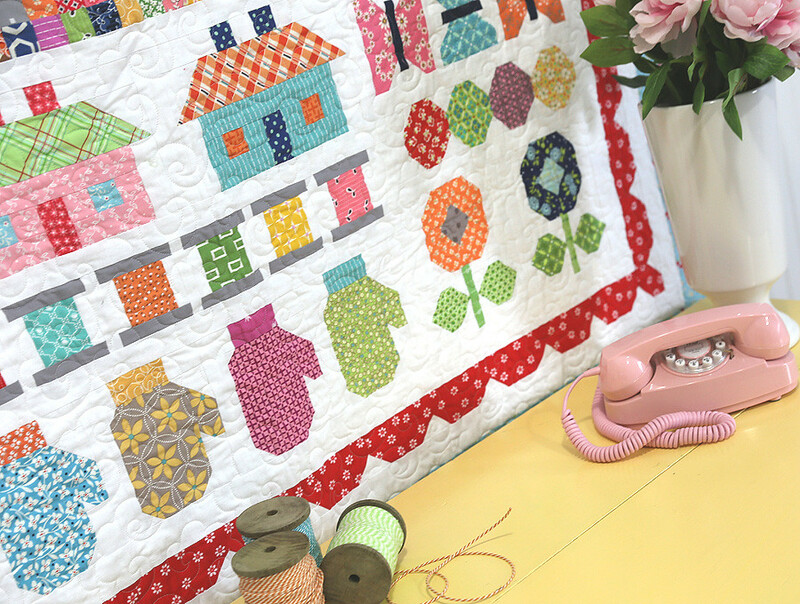 If you can't get enough of these cute little houses, flip to page 90 in your copy of Quilty Fun and sew the Town Square Quilt! Once your blocks have been sewn, be sure to add a photo or two to the Quilty Fun Sew Along Flickr Group for a chance to win this week's prize. This week, we are giving away two of the Lori Holt Happy Colors Small Aurifil Thread Box and one packet of Alphabitties. Three winners will be announced right here next week! The lucky winners of last week's giveaways are Sarah Bidigare, joan.old, and Deanna Allred. Check back next week to see if you won a Quilty Fun prize and to start sewing the Butterflies blocks with A Little Bit Biased!